BRYAN EATON/Staff photo. 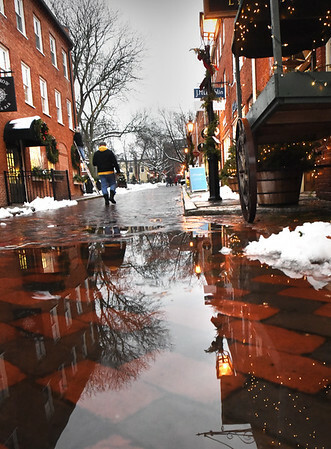 Warm temperatures and rain melted some snow on Tuesday, here in a view up Newburyport's Inn Street. The melting will be shortlived as the temperature isn't forecast to hit above freezing until Saturday.